Preheat the oven (or the grill) to 425 degrees. 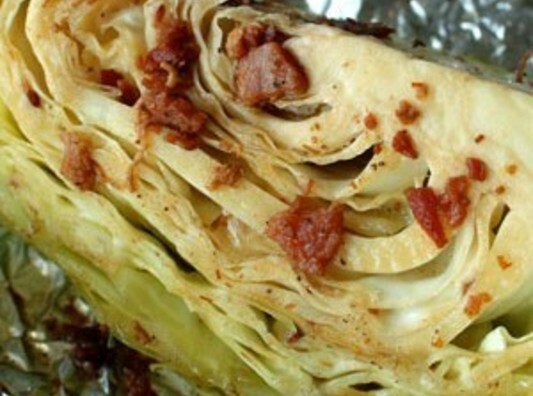 Cut the Cabbage head in half on the core...Then cut the halves in half again…to make quarters. Lay each wedge on a sheet of aluminum foil large enough to wrap it up in. Spoon about 2 tbsp. of the marinade on top making sure to get it in all the nooks and crannies. Wrap each wedge and bake or Grill for 30-45 minutes. You can cook them up to an hour for softer cabbage. The wedges reheat wonderfully in the oven or the microwave!